YouTube has become an influencer breeding ground. Consequently, learning the subtle art of working with YouTube influencers is a great way to build your digital brand. 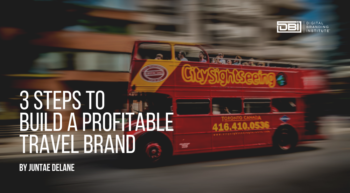 If done the right way, it will give your brand the exposure it needs. Keep reading to find out how. Working with YouTube influencers can help you to maximize your budget while reaching a specific audience. By using YouTube influencers, you’ll build affinity with subscribers who maintain a strong level of loyalty to that influencer. Bottomline, if you connect the right offering with the right YouTube influencer, you can share their loyal subscribers. People that may haven’t had a previous interest in your offering, can develop one with the right endorsement. This is the main reason why it’s important to them when building your digital brand. Having a YouTube influence can even be more effective than a conventional ad. Many people who pursue the internet are looking for visual stimulation, hence YouTube’s popularity. Short videos and clips get replayed and shared far more often than simple websites. Forbes also highlights the fact that 92% of the people who watch videos share them with the other people they’re connected to. This becomes a great way to market your offering to a large audience with minimal effort. So the question becomes: how do I get a YouTube influencer? Finding a YouTube influencer can be as simple as searching YouTube itself. So let’s say you’re a running shoe company. You’ll find a few influencers that deal primarily with running shoes. Pick one and find their ‘about’ tab. If you scroll down, you’ll find access to their email address where you can get in touch and see if they’ll work with you. A great example of this is Shonduras (Shaun McBride) on YouTube and Snapchat. He creates adventures around his sponsors content, bringing their products to life and giving them excellent exposure to his audience. This works because his sponsors are chosen based on how they relate to Shaun’s interests and audience. They work together to create exciting content. It also works because viewers want to share your vision, your purpose, and your mission. They just may not know it yet. Under the influence of a YouTube influencer, they will be much more willing to listen to your company’s ‘pitch’. Study your business before venturing into the world of YouTube Influencers. Then be sure to focus on what specifically works for you and not just on how many viewers a YouTuber has. The right YouTube influencer will be able to give your business the boost that you’re looking for– even if they have a smaller following. A nice tool for finding the right YouTuber for your business is http://SocialBlueBook.com. This site can give you cost estimates for working with your YouTube influencer and will give you a wide range of listings to pick from. It will also give you an opportunity to review samples of different YouTuber’s work. Another company that can connect you with YouTube influencers is Makrwatch. They will ensure that the person you go with meets your needs and is a good fit for your business. Exploring the current videos will also enable you to make sure the YouTube influencer is brand safe in all of their content and not just a few videos. This may feel counterintuitive. You might be asking “why would I purposefully try to get a smaller audience instead of working with an influencer that reaches millions?” It’s a valid question. Influencers can make six figures a month just from ads. Their audience size is valuable to their business partners, and this makes them expensive. This is where it becomes important to weigh the cost of the influencer and the size of their influence. A small influencer will be very passionate about what they do. They will also have a following of about 50,000 passionate viewers. Singling them out could be their first brand opportunity and cost you somewhere between $500 to $1,000. This enables you to work with several small influencers instead of one large one. Plus, a smaller influencer can make your ad more personal and have a more lasting impact on their audience. Being able to work with several smaller YouTube influences can also really work in your favor. YouTube is still growing, with smaller influencers growing into big ones overnight. One (or all) of the YouTubers that you work with could really take off after they endorse your company. Now your audience is extended and at a smaller monetary rate than if you had paid for a big influencer. However, it should be said, that influencers are really a great option no matter what kind you choose. You’ve found a YouTuber you want to work with, but how do you communicate with them? Be basic and clear. Write down what you’re offering and what you’re looking for from them. Keep it simple and let your chosen influencer have creative license with your product. These people want to create but don’t want to be told what to create. They already have an audience and know what they’re looking for. It is understandable that they’ll be concerned about someone coming in and trying to leverage their success. This is where things will be hard for you, the business owner. You’ll have to let go of some of your control for your ad and your business relationship to be profitable. The influencer that you’re working with knows their audience and what they’re looking for. It’s important for you to not give your YouTuber a script. Being too specific about descriptions, people on the set, or titles can restrict your influencer in a way that limits the productivity of your add. I’m reaching out to you because I have a [product or business] that I think your audience would appreciate. Would you be willing to review [product or business] on your YoutTube channel? I would also be interested in featuring your company on my business page. Please let me know if this is something that you’re interested in. This is something that you’ll want to talk to your YouTube influencer about because you don’t want your relationship to sound strange or too staged. You’ll want your influencer to be transparent with their audience. This will ensure they aren’t too shocked by the appearance of the ad in their show. YouTube has a great feature that allows you to simply check a box that says that there is paid content in the video. You could also add a hashtag, like #ad. Either of these options are easy ways to fulfill the requirements of the FTC. The Federal Trade Commission (FTC) has endorsement guides that require endorsers to say whether or not they’ve been paid for their opinion. They also require that the advertisements are not misleading and they must be honest. Its a fairly straightforward guide to follow, but talking to your YouTube influencer can make sure that nothing gets forgotten in the momentum of your advertisement. Shondurous discusses his advertisements in his videos by telling his viewers which company has made his adventure possible. He helps to make the brand the star of his videos. Shaun is a great example of an influencer and a business working together for mutual benefit. If you want your brand to really shine during its time on YouTube, you can discuss it with your YouTube influencer and see if that kind of highlight is possible for your own company. Once you find a YouTube influencer that is willing to work with you, your own marketing comes into play. Move your influencer as much as you can. 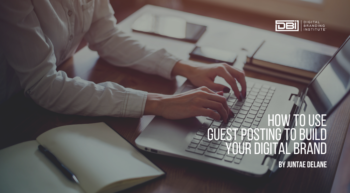 Feature them on your website, talk about them and post about them on your social media. Help them to get more traction than they already have. This type of campaign can have a significant impact on your digital brand. It starts with you making the right connection with YouTube influencers. Videos are better able to promote brand recall than other content. They are visual and auditory which is why people are better able to recall what they’ve heard or seen rather than simply read. Working with YouTube influencers can be a great way to build your digital brand. If you connect the right offering with the right YouTube influencer, you can share their loyal subscribers. When done right, a YouTube influencer can allow you to grow your interest and develop an audience for your business.